The BT10 bogie is fitted to mark 3 Inter City stock, including the HST trailer cars. Introduced in the mid-1970s, some units have now been in service for 35 years. These were amongst the first to be fitted with disc brakes and for several years there were complaints about the smell. But once this had been cured, they proved to be exceptional, giving a smooth and steady ride at high speed on indifferent track. Recent tests have shown them to be superior to more recent designs, as well as being significantly easier on the track. I was discussing this with a colleague recently who has been involved recently in the maintenance of vehicles fitted with these bogies. Apart from a few minor details, he told me that there are no fundamental weaknesses in the design - such as areas prone to fatigue - and after three decades in service they would have shown up by now. The elegant simplicity of the concept is revealed in the diagram. 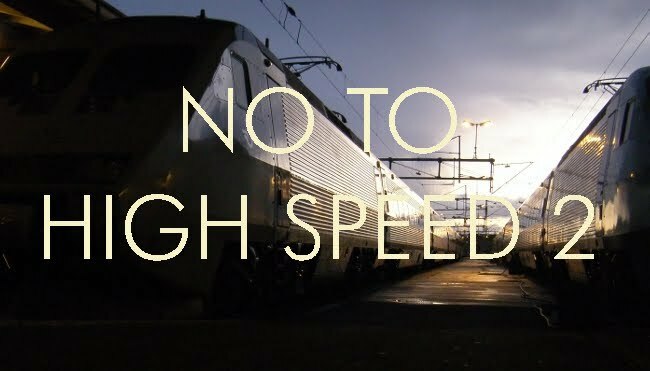 and this should stop hs2 because? 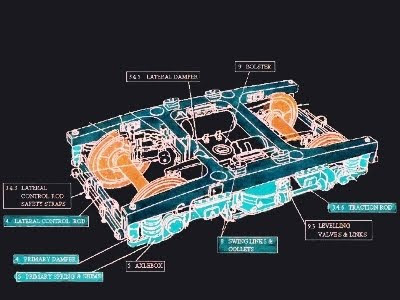 The connection is tangentially - there is a lot of perfectly good kit around that is serviceable for many years to come. And plenty of potential routes to run it on, presently in need of upgrading or growing weeds.